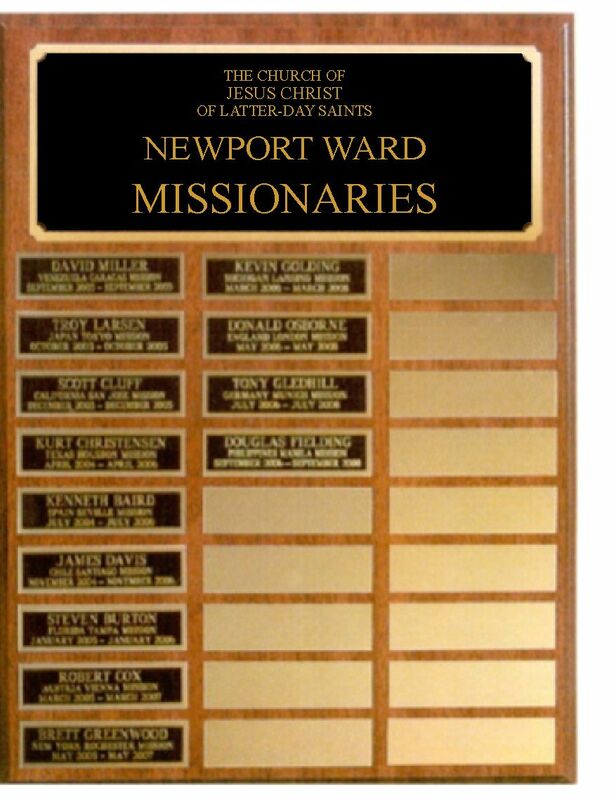 Description: Perpetual Recognition Plaques are available for the following with their respective logo(s):YW, Eagle Scout, Duty to God & Missionary. There are 27 spaces available for engraving. Price includes all engraving. Don't have all 27 names right now, don't worry, call us, fax us, or EMAIL us the names as you go and we will mail them out to you. It is that easy! If you have names you want added to the plaque right now please email them to sales@mulletthoover.com. Larger sizes are available, please call for details.